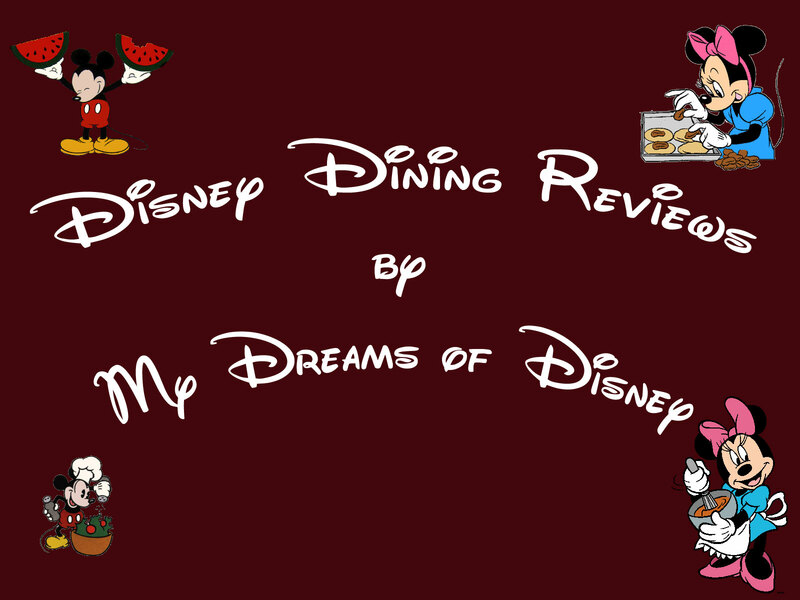 Disney Dining Review: 50's Primetime Cafe! Disney Dining Review: 50’s Primetime Cafe! After a very lengthy pause, welcome back to another Disney Dining Review! In today’s review, we are going to examine all of the fun that you can have at the 50’s Prime Time Cafe, so read on for more details! The 50’s Prime Time Cafe is located over at Disney’s Hollywood Studios park, and is an enjoyable place to eat. It is not a character dining restaurant, but what it lacks for in that regard, is totally made up for in the theming that the restaurant provides! The moment you walk through the door to the restaurant, you really are transformed into the home of the family of the 50’s! After you check-in, you are invited to hang out in the living room/family room to relax for a while. If you would like a drink, you can go check out Dad’s liquor cabinet to see if there is anything you would like to drink before dinner. “Every party needs a pooper and that’s why we invited you! Then it was Sherry’s turn to get in trouble. She said something to “Ma” that I had done, and immediately Sherry became a tattletale! Then we sang the same song to her! What was funny though was that Sherry and Ma were from the same part of New Jersey! To top off our fun meal, my sister-in-law Nancy didn’t eat all her green beans! That was a serious no-no, and as a result, Nancy got her own special dessert, as you can see here. Nancy just couldn’t eat her veggies! We have eaten at 50’s Prime Time Cafe twice, and in this particular restaurant, you will definitely get out of it what you put into it. If you approach your reservation like you are just going to have a good meal and move on, you probably won’t enjoy it as much — despite the fact that the food is pretty good! However, if you approach your reservation knowing that you are in for a fun time, and can enjoy yourself and play to the charm that the restaurant has, which is definitely in it’s wait staff, you will really enjoy yourself, and you will leave the restaurant knowing that this was one dinner you won’t soon forget! This restaurant isn’t on our list of must eat at every vacation, but this is certainly a restaurant that we’ll eat at every few years! So tell me, have you eaten at 50’s Prime Time Cafe? If so, what did you think of it? Worth it, or over-rated? Please let me know in the comments, and thanks for reading! 26 Days til Disneyland – Storytellers Cafe! It has been a while since we have gone but everytime we do it is like we laugh right through dinner. I have had Ma actually feed me my vegetabels before! Thanks for your comment, Jaime! I know exactly what you mean, we ate there once before this last time, and our server wasn't quite as feisty as this one was. In fact, it was because of that previous trip that I wasn't so sure I wanted to spend the money for this last time, but I'm glad we did, it was a hoot and I had a blast! I hope you have a good experience this coming November! Thanks Mary! Sherry — the tattletale — was playing right along, and at the end she was being fed some of her tuna casserole, or whatever it was she was eating, with much enjoyment! Thanks for checking out the post, Chris! It is a fun atmosphere, you are right! I love this place. The food is good and the whole atmosphere is fun. Sometimes you don't get a very fun server, but most of the time it's good. We've eaten there once and we didn't have a very energitic server. We saw other tables having a great time but our waitress was not in the mood to play, it seemed to us. We will be trying it again this November when we go with my parents. My dad can make anyone feel playful so I think it will be a much bigger hit. We always eat there! Love the servers, they make it! One time a guy sat down at the table next to us and our server “cousin Robert” noticed he had on a hat and chewing gum. Robert removed the hat, gave a friendly pat to the guys head who sit his gum into Roberts hand. Hilarious! During my DDs birthday week we stopped in and she was presented with a birthday card that aal her cousins (diners in our section) signed for her. We love 50s! Previous Post: Read about Epcot’s Mexico Pavilion at Magical Mouse Schoolhouse! Next Post: Disney In Pictures – Celebrations!